do not post any content which could be viewed as non-compliant with relevant laws of People’s Republic of China or UK. Any problem with the above points may result in the withdrawal of content and/or privileges/services. This website is hosted in UK and expected to be governed by UK law. All services have been reviewed for accessibility/availability within mainland China, please use this site respectfully and help us keep it that way. All management features should be available in Chinese language (option selectable in user profile). If you discover any issue, please let us know. 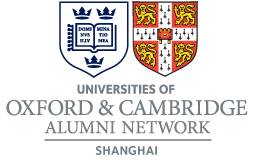 New website registrations will be reviewed before moving to status “Member” and will not be able to view the Member directory https://oxbridge-shanghai.org/members/ until then. It is mandatory to complete details of Oxford/Cambridge affiliation, however we do also welcome friends who are not alumni, in this case please state reason for joining in “Oxbridge experience” and you will be assigned status of Associate Member. If you receive a “Membership Rejected” email that most likely means we weren’t able verify your alumni status or your details were incomplete. As there are sometimes attacks of spam registrations needing rejection, we may occasionally reject a genuine registration by mistake.